Chrome vanadium. Double ended T-type metric hex keys with metal storage stand. Sizes: 2, 2.5, 3, 4, 4.5, 5, 5.5, 6, 8 and 10mm. Great variety or sizes, and don’t seem to flex. Great set of Hex Keys, using for Mountain Biking Maintenance. Helpful stand that fits well on a workbench. Love them. Although the short end could do with being a bit longer. These are a fantastic buy and so much easier to use than a normal hex key without handle. For the price, I thought they would twist and bend at the first attempt at a tight fixing, but I have been using them on various size bolts and they are still looking good. It would be nice if they had a ball end, but that''s a bit cheeky at this price. All in all, a nice bit of kit. Strong set off tools for a good price. Excellent bit of kit well worth the money used them twice now and nice stand for them to sit in. This is the best allen key set I have ever had. Very well made and good construction. Has a handy wall mountable holder for easy storage. All in all a great purchase. I lost a standard allen key in the long grass so was looking for something to replace it. These are bright blue and easy to see when I drop them in the grass! Do exactly what they should, had no problems so far. The smaller keys have a bit more flex to them than I''d like, and annoyingly the size labels on the rack don''t line up with the actual keys, so it can be a bit of a guessing game which one you''re getting. Very good value for the price very strong and perfect if you have a bolt that''s deep in a car door panel. Just received my set of Silverline hex tools in the post and they are great. Strong and robust and easy to store in the rack that they come in. I’ll be using them mainly on mine and my children’s bikes. Great purchase. This kit has great quality and great grip on the hand to take screws out, very nice kit to work on bikes and cars. Bought the full set of hex keys and they’re awesome. The little holder they come in screed straight into the van so they’re at hand when I need them. They’ve got every size you need not like some sets that are cheap because they skip a few. What you pay for what you get is brilliant. Totally recommend. I could not be more satisfied. Hex keys with handles make the job so easy ,should of purchased a set years ago. 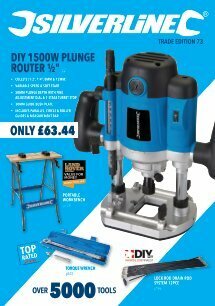 Silver line tools are great value and good quality tools. Has saved me time in the first week. Silverline Hex key t-handles - great value for money and a lifetime guarantee to boot, you cant go wrong. Helped me dismantle motorcycle brakes no worries. For the price, 5 stars. Excellent hex key set. Comfortable handles and precise solid construction too. The holder has holes designed specifically for each key so you don’t get them mixed up. Also it can be wall mounted or stood on your bench. Both ends of the keys are proper hex finish and not the ball type, which I my opinion never gives a satisfactory a fit. Overall a great purchase at an amazing price. Excellent product just what I needed, have recommended it to a number of like minded people. good price great delivery. Great set, Well priced and highly durable. Definitely Reccomend! Bought these tools to aid my lutherie; they deliver in every way. Their sturdy structure mean I can turn a trus rod without the risk of tearing up the hex socket. What I like most is the long reach and t-handle, this allows me to fit in between guitar strings and also have great leverage. Would recommend these for any auto repairs too as the length and opportunity to gain torque would be a massive help. If I find a need for them in my garage I may purchase a 2nd set that can get dirty seen as they are a fairly inexpensive tool. I''ve seen good reviews regarding the Silverline tools especially these T-Handle hex keys. I do a lot of DIY and have found these to be an excellent set as they have the intermediate sizes of hex i.e. 2.5, 3.5 etc. Often you don''t get these included. They were a good price too. I was pleased to find that they had a lifetime guarantee - easy to register them on the Silverline site. These are cheap enough for a set, it would be helpful if there was a 1.5mm version like other similarly priced sets. However, these hex keys are really much larger than I expected. For the larger keys this is necessary, but for smaller keys the size really gets in the way if you are trying to use them in a tight space. I had to buy an additional smaller hex key set after these arrived because these ones were too big to fit in the gap that I needed. I''ve kept this set anyway because they are sturdy and have a wallmount. Light weight but feel strong enough and an excellent price. Happy purchaser. Compfy in the hand, seem solid and a good price. I bought this set because you get two tools in one, which comes in very handy having long and short hex keys, ideal for those stubborn hex bolts. The handle is comfortable to use, it comes with a useful stand, so it''s easily noticeable if you have placed one down somewhere, which encourages you to put away you''re tools. I''m really pleased with this hex key set. They were a fraction of the cost of other sets, and in some cases, only as much as individual hex keys. Ok - the handles might not be those soft grip tactile handles, but they seem robust, fit for purpose and backed by a lifetime guarantee. You can''t really ask more for a £7 set...apart from them throwing in a stand for them!! A nice extra bonus for the workshop. Bought set of hex Allen keys, they were excellent value for money,very well made and strong material, good handles which gives you a nice grip and very easy to work with. I have used silver line tools before and find them all excellent. Would recommend to any DIY enthusiasts. well happy with quality product for great price..best of all lifetime warranty! ! I will now always buy silverline instead of other big brand names in the mtb tool world..
An excellent set of Allen Hex keys enabled me to fix the item in No time. The T-Handle could do with being a bit longer otherwise it worked fine. That''s for extra leverage and to make ir easier on the wrists. Great set of T-Bars! I'll be using on my motorbikes and bicycles. Es un kit de 10 llaves Allen con mango hergonómico,resistente y de buena calidad. Son muy resistentes y manejables a simple vista parece que no vayan a aguantar un gran esfuerzo pero al usarlas ves que aguantan muy bien y cómodas. Traen un soporte simple y muy eficaz ya que lo atornillas al banco y tienes todas las llaves ordenadas y a mano. Sin duda un articulo calidad-precio inmejorable. A great 10 Peace set of T-Handled Hex Keys,, Great for the price with a Lifetime Guarantee, you can''''t go wrong. Great product, exceptional value for money. I woukd definitely recommend! Bought these for my son as a gift to use whilst doing Mechanic Course. Just great for this an excellent piece of equipment at a great price. Would recommend this product. I bought these Allen Keys as a present for a young (15) mechanic as he was complaining that the Allen Key set he had was not up to the job. Upon receiving them, I was impressed by how well they were manufactured for the price. Needless to say I ordered another set for him and kept this set for my self. So far I have used them on countless jobs and they are still as good as new!! The only problem I can see is how to stop my work mates pinching them for their toolkits!!! This is a well made and designed tool set and all at a very reasonable price. I''''ll certainly be looking to getting more from Silverline. The Hex Key Handle Set is quite simply a brilliant excellent value for money, quality tools that are perfect for the mechanic and jobs alike.These are simply one of the best alternative branded tools that you could want in your tool chest/box. I have now purchased other Silverline tools and found those also to be of great quality and match quality, power and above all cheaper than those of the top brands - Furthermore Silverline is a brand I definitely recommend and trust. Ordered these off Amazon. They are perfect for everyday use. The only situation they may not be suitable for is for super high torque applications. Other than that at the money they sell for, these are an essential item in any tool box, would recommend to friends. This Hex Key Set is very usefull, you can apply all your arm strength without making and injure to your hand. they stand nicely on my bench, making it handy to reach for them when working on my bike. The sizes cover all the parts on the bike - so " they do what it says on the tin"
Great product at a brilliant price, got these for my Cycle build/maintenance jobs and they are spot on. Only thing stopping them getting 5*''s is a lack of a ball end. Would recommend them any day. As a cheap set this does the job, I had to return the 2 mm bit as it had rounded, a new set was sent to me. I haven''t used the new 2 mm bit yet, stuck with the old fashioned allen key for the small size - just in case! Unlike cheaper hexagonal keys that ''round'' on first use these keys do the job. Well pleased with the hex key T-handle set 10pce. These were purchased to work on a mountain bike and a car but have come in handy in lots of other places. They are strong, very comfortable to use and with the warranty I would recommend there to anyone. Good quality product for a great price. Have a few silverline tools now, use them weekly and they stand up to the use. Brilliant hex keys with moulded handles, this lets you use extra force when trying to undo stiff hex bolts and easier on the hands too! The right tool, does the job. Strong and good quality. Works every time. I purchased this T Handle Hex Set over 12 months ago for working primarily on bikes (mountain, road and motorcycles) and some work on cars. For that period it has been my go to set of hex heads. Overall, all offer a good solid bite on the majority of bolts and screws. Some of the smaller sizes are a ''touch'' small and on cheaper screws can slip. The set has been reliable at a great price. I would recommend as a good set for the home mechanic. This Silverline Hex Key T-Handle Set 10pce is guaranteed for a period of 30 days from date of purchase against a fault developing in either the materials or the workmanship during manufacture. You can register for your Lifetime guarantee by registering your product online. Any faulty goods will be repaired or replaced free of charge.